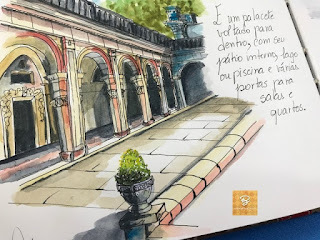 Hoje temos o terceiro vídeo do Parque Lage, onde faço mais um desenho e pinto com aquarela. A foto acima representa a pintura de hoje; é o pátio interno do palacete com cores ocre, amareladas, sutis toques de rosado e azul, e o verde da mata ao fundo. Today we have the third video of the Park Lage, where I do another drawing and I paint with watercolor. 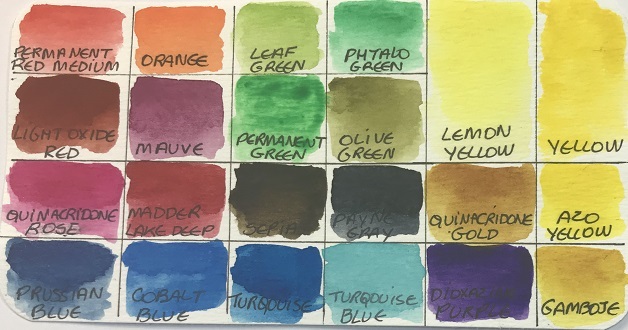 The photo above represents today's painting; it is the internal courtyard of the little palace with ochre, yellow, subtle touches of rosy and blue, and the green of the forest in the background. Semana que vem temos a última parte da visita ao Parque Lage com mais sketches! 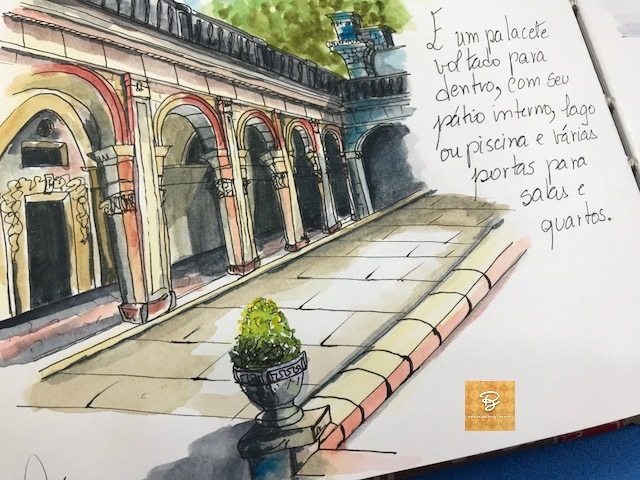 Next week we will have the last part of the visit to Parque Lage with more sketches!